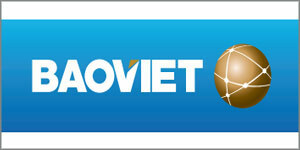 The Russian Cultural Days in Vietnam will take place in Hanoi and Ho Chi Minh City from October 5 to 10. Some of the best culinary, musical and costume identities of Vietnam, including the central province of Thua Thien-Hue, were introduced to Asian-Pacific guests at a cultural night in Hue city on September 27. The 10th version of the Hue Festival in the central province of Thua Thien-Hue will highlight the five local UNESCO-recognised World Heritage items, according to the festival’s organising board. The Beryozka dance ensemble from Russia will perform in Vietnam from October 4-7, said the Ministry of Culture, Sports and Tourism on September 26. Hungary’s contemporary porcelains are being introduced to visitors to the Museum of Fine Art at No. 66 Nguyen Thai Hoc Street, Hanoi at a fortnight exhibition that opened on September 25 by the Hungarian Embassy in Hanoi.